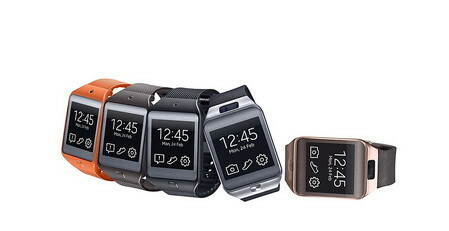 Samsung has recently unveiled new versions of its Galaxy Gear smartwatch. Dropping the 'Galaxy' branding from its name, Samsung's Gear 2 and Gear 2 Neo steps up its game with updated looks and features. Unlike its predecessor, Gear 2's camera is now built into the front of the watch which is more convenient unlike the original gear's wristband camera. Gear 2 sports a 2MP AF camera with 720p video capture. Gear 2 Neo doesn't have a camera but both models will include an infrared emitter for controlling other devices like a TV using Samsung’s WatchON Remote application. 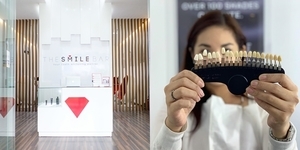 Both models have a 1.63-inch touchscreen, 1GHz dual-core processor, 512MB of RAM, 4GB internal storage, and a 300mAh battery which is estimated to last 2-3 days. 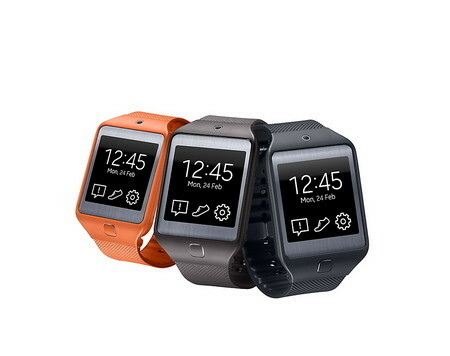 Both devices will run on the new Tizen operating system and will be compatible with a range of Samsung devices. Other notable features of the new watches are: standalone player that can output to bluetooth headphones, and a heart rate monitor. Gear 2 will be available in Charcoal Black, Gold Brown, and Wild Orange, while the lighter Gear 2 Neo will come in Mocha Grey, Charcoal Black, and Wild Orange. There is no pricing yet but Samsung expects to ship worldwide in April.